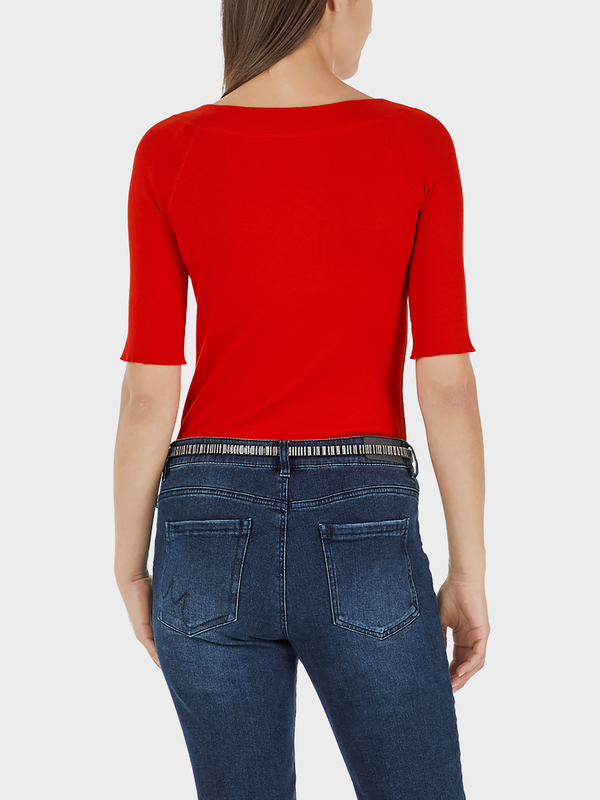 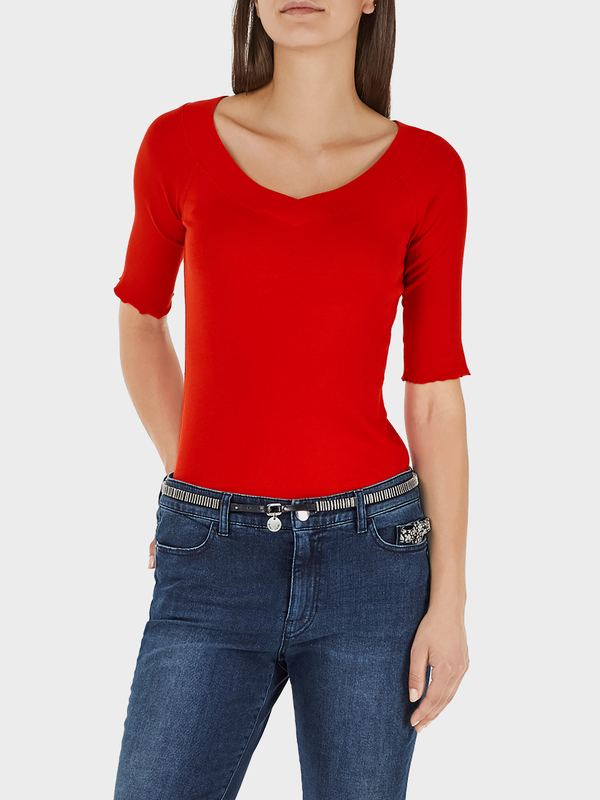 Stretchy cotton top in a ribbed design with half-length sleeves. The top has a wide contrasting V-neck and, as a staple piece, can be combined with any skirt or any pair of pants. 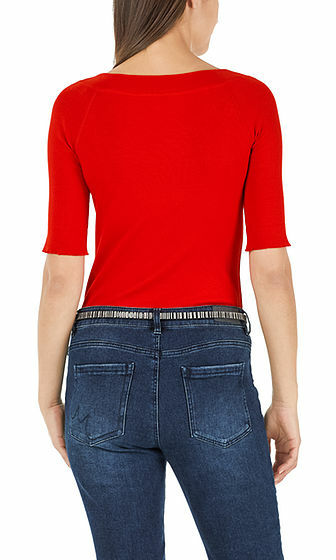 A must-have for every wardrobe!